At Southampton, we offer students a vibrant and transformative education experience, underpinned by our culture of research and enterprise. 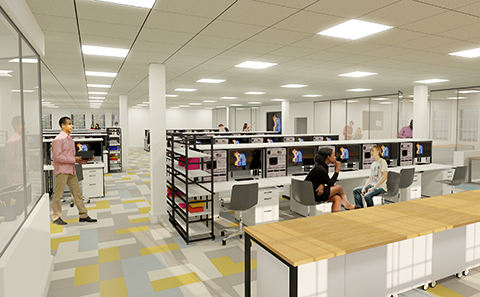 Within Electronics and Computer Science, we are proud that multimillion pound laboratory investments ensure our students can use the latest technology and facilities to support their degree programmes. 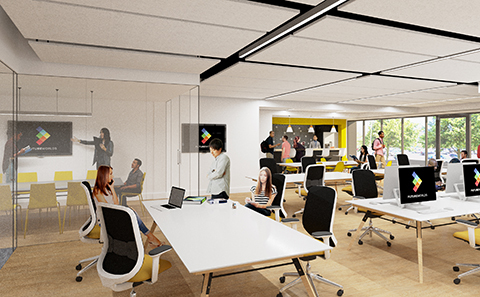 This summer, we have seen the development of new state-of-the-art project laboratories to offer our senior undergraduate and MSc students a dedicated space to work creatively and collaboratively on hardware and software projects. 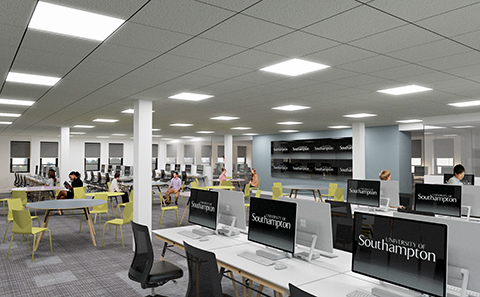 Adding to a recent project to fully refurbish our teaching and computing laboratories, these developments represent an £8m investment in facilities that will prepare students for the industries and enterprise of the future. 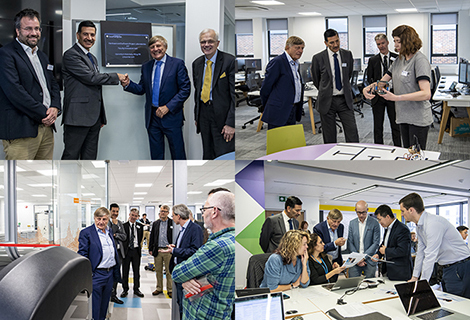 Sir Robin Saxby, founding CEO of Arm, officially opened the new labs. He gave a seminar on technology and entrepreneurship to a select group students from across the University and joined industry partners on a tour of the new spaces.